Back in 2014, both Walt Disney Animation Studios and Pixar Animation Studios teamed up with Disney Worldwide Publishing to launch a series of children's book created by artists and storytellers from each studio. The Pixar Animation Studios Artist Showcase series enables talented employees within the studio by giving them an opportunity to showcase their personal projects in picture books featuring original art and characters. 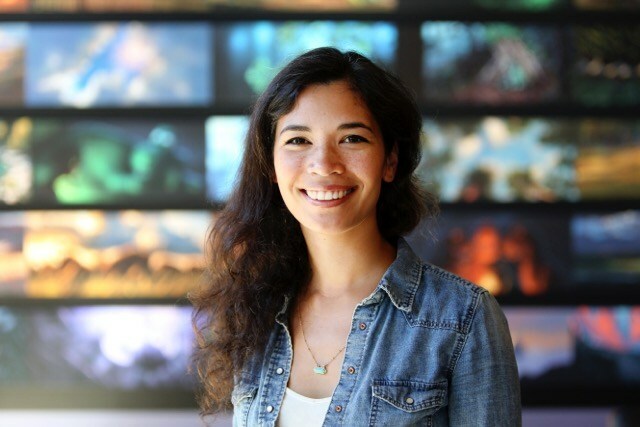 Storyboard Artist and Director (Kitbull, a Pixar Animation SparkShorts film) Rosana Sullivan is set to release her upcoming book titled, Mommy Sayang, making her the fifth artist featured in the Pixar Animation Artist Showcase series. The previous titles in the Artist Showcase are, Over There by Steve Pilcher, Cloud Country by Noah Klocek and Bonny Becker, Box Meets Circle by Aaron Hartline, and Henri's Hats by Mike Wu. In a Malaysian kampung, or village, lives little Aleeya and her dear Mommy sayang. Aleeya and Mommy do everything together, and in Aleeya's dreams, they dance among enormous hibiscus flowers. Aleeya loves to ask Mommy if she will always be by her side. Mommy assures her that she will, Insh'Allah. But one day, Mommy becomes sick. Alone, Aleeya waits for her return, and it's in this moment that Aleeya realizes she can always be by Mommy's side. With a hibiscus flower in hand, Aleeya goes to Mommy's bedside to bring her love and hope. Little by little, Mommy sayang gets better. The official release date for Mommy Sayang is April 2, 2019, however you can pre-order your copy today. Rosana Sullivan to release next book in the Pixar Animation Studios Artist Showcase titled, 'Mommy Sayang'.